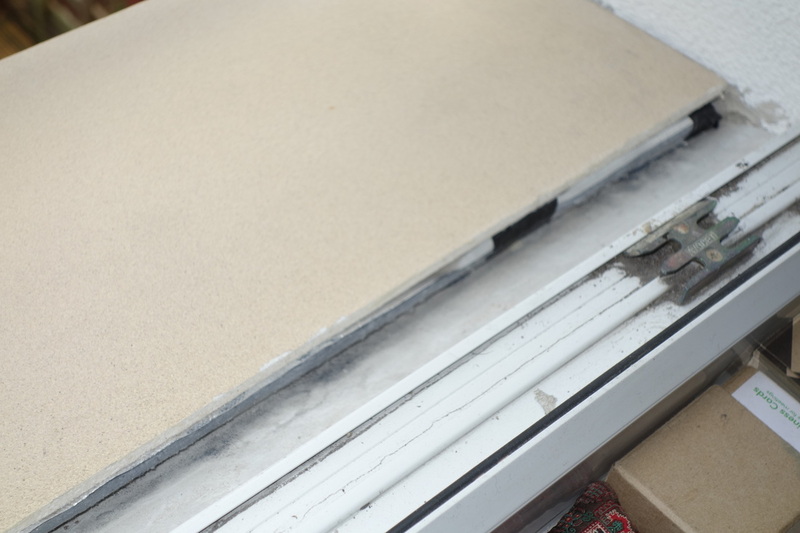 ‘Given the low number of Green Deal installations (around 600 completed installations, with only another 1000 in the pipeline) in just a year since it launched, one could say the Green Deal has failed. However, given the high interest rates associated with the loan, the fact it is a new scheme to industry with significant bureaucracy and complexity on top of how long it takes to organise and undertake works on site, this is not entirely surprising. Also, these numbers only reflect Green Deals taken out with a finance plan, i.e. occupants who are borrowing money and repaying it through their electricity bill. I suspect many people who, like myself, have had Green Deal works undertaken without the loan, will fall through the statistics gap of the Green Deal. 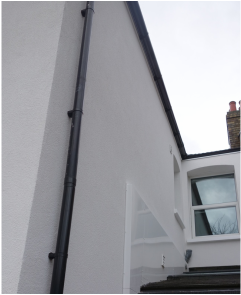 For example, we had the first assessment in March 2013, and it took months to find and get installers to quote for the works who also could draw on ECO funding. Due to the ECO subsidy offered, we could fund the works via other means and no longer needed a Green Deal loan. 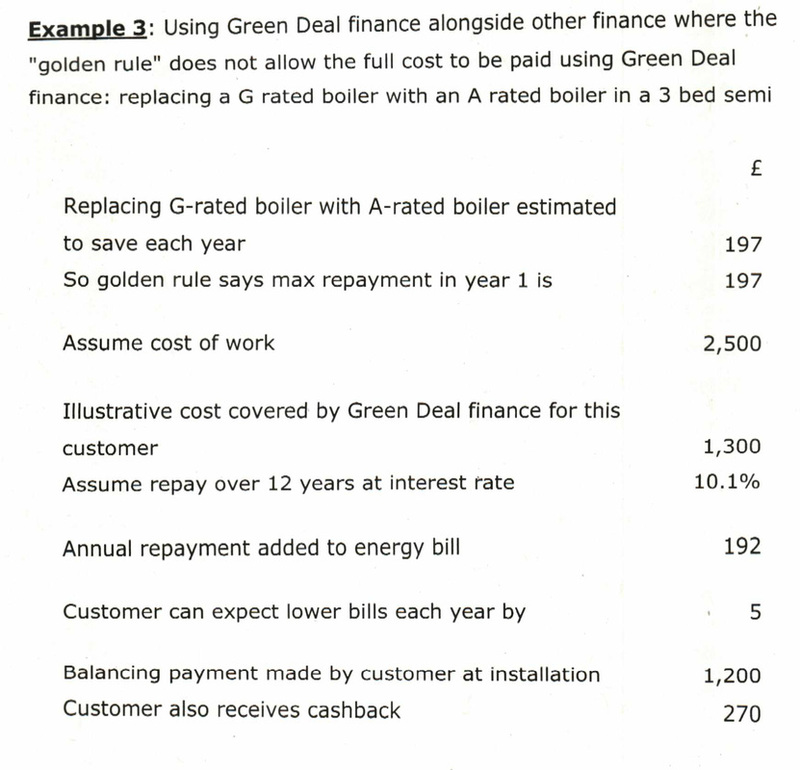 While we still had the installation done under the Green Deal, it won’t show up as a Green Deal. 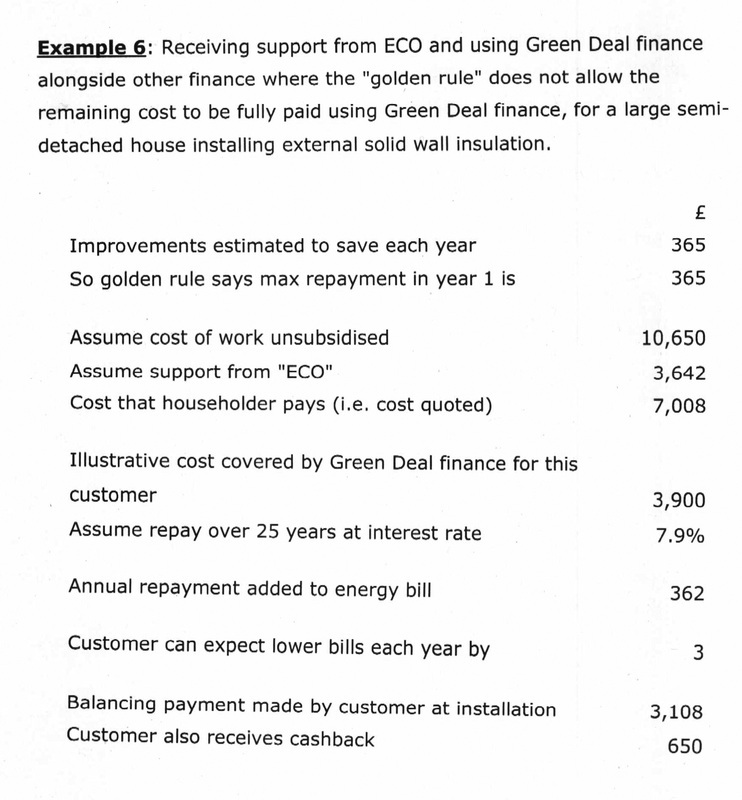 The low Green Deal completed numbers are hence likely to be deceptively low, and installations are presumably instead included under the ECO scheme, if (like our solid wall insulation) the works are part funded this way. So far, there have been over 470,000 ECO part-funded installations, a much greater number than the people signing up for the Green Deal, though ECO-funded installations are still falling short of previous government schemes. As an architect, it is frustrating that it is not possible to adapt solutions to suit each property best ‘Clearly the high interest rate (7 per cent) is off-putting to many. The negative media exposure it received has given ECO and the Green Deal a bad name and may put people off starting or proceeding. Equally the government’s knee-jerk response to bad media means that there is uncertainty in industry about what may happen next. Having gone through most of the process, the complexity and bureaucracy is astonishingly stifling. As an architect, it is frustrating that it is not possible to adapt systems and solutions to suit each property best. 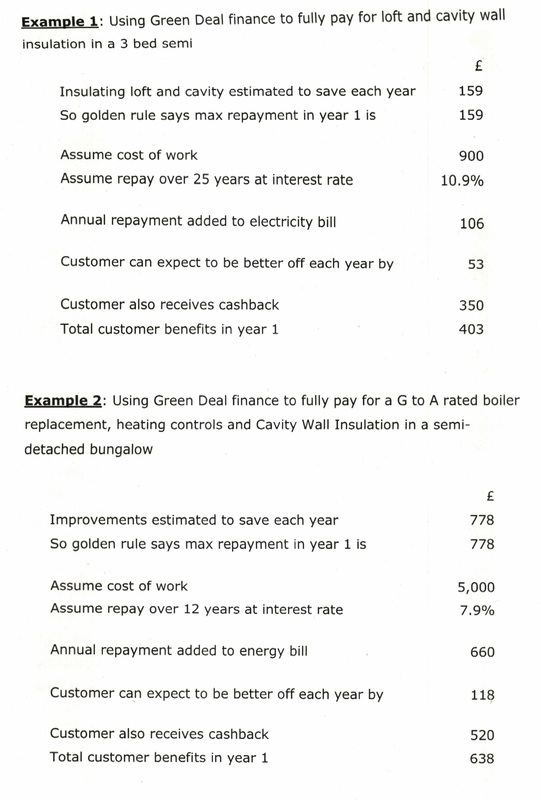 To illustrate this: each Green Deal approved system has standard details, whether they work for a given property or not. 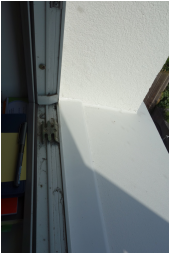 In our case, the solution for window reveals doesn’t work and so we have none rather than come up with other solutions; on a part of the wall we would have benefited from more than the 100 mm system insulation, but this is not possible as industry has designed and gained Green Deal approval for systems which meet the current building regulation requirements for U-values (which attracts ECO funding), not more or less. This really limits consumer options. The separation of certain trades - i.e. installers who can install wall insulation but not flat roof insulation or anything to do with waterproofing under the Green Deal, means that you may end up with odd and less robust details; and the consumer may have to get two Green Deal installer in and co-ordinate the separate works themselves, despite the fact that of course both measures are Green Deal measures. 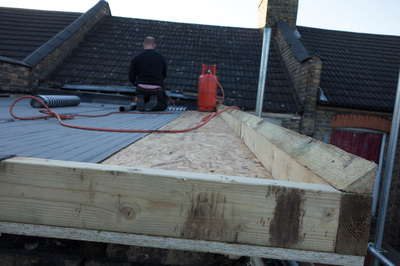 We decided to have one installation done under the Green Deal to benefit from the ECO-funding and the other part to be done by the same firm, but outside the Green Deal as they had not gone through the Green Deal approved process for this. 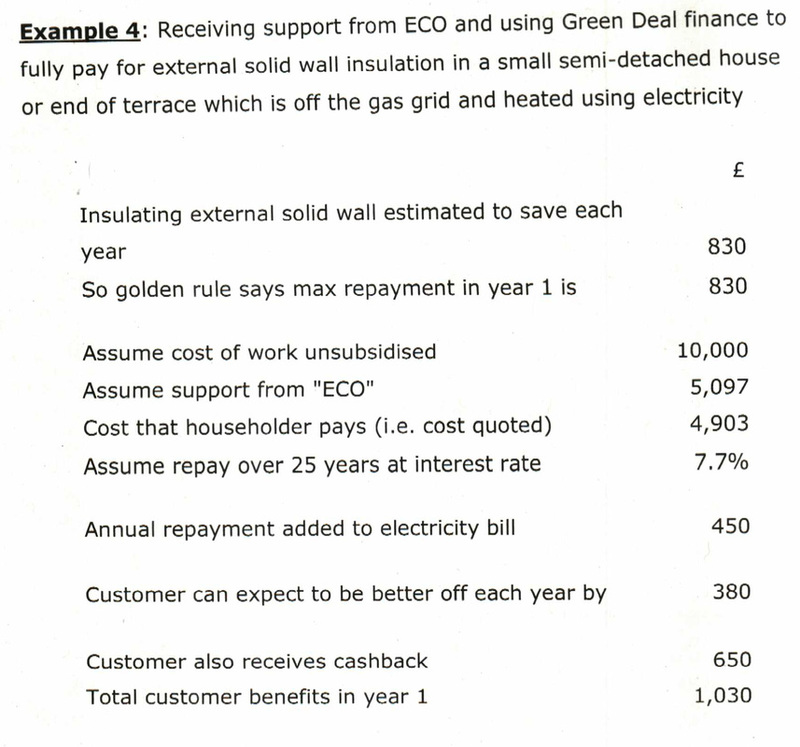 For individuals, getting access to ECO under the Green deal still seems to be very limited and hard to find. 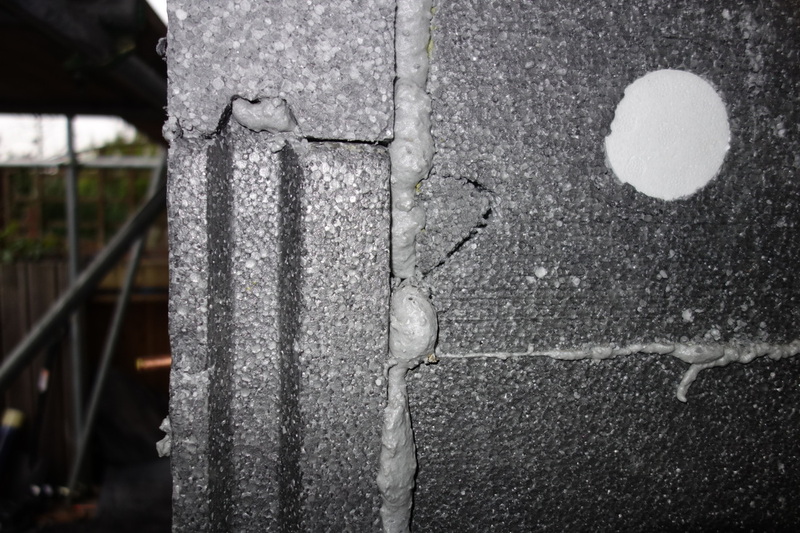 VAT relief should also only apply if certain fabric standards are met ‘VAT on insulation is at present just 5 per cent, but this is still 5 per cent more than when building anew and this discrepancy is long overdue. 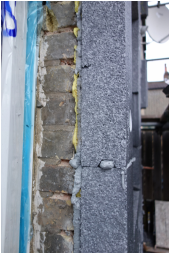 I would like to see VAT relief for retrofit introduced and on a sliding scale depending on how well the building fabric performs for new-build. 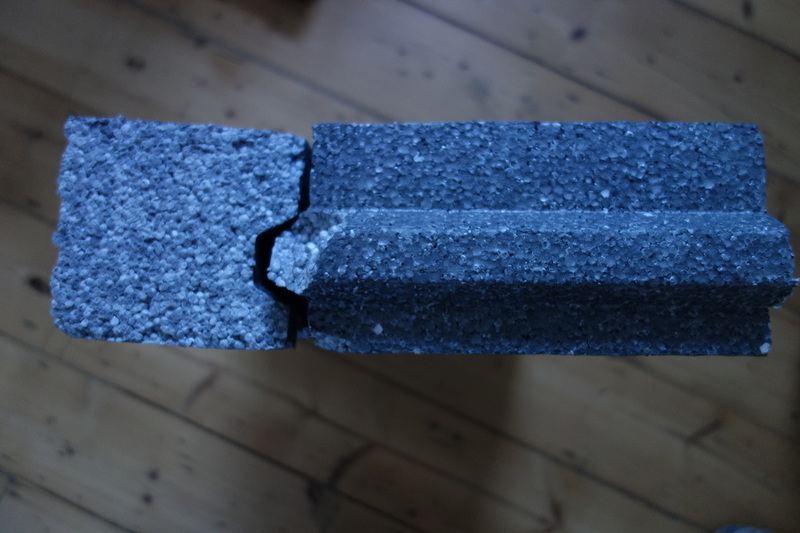 Perhaps to avoid purely cosmetic changes in retrofit, relief should also only apply if certain fabric standards are met, while acknowledging the challenges of retrofit and that in some cases higher standards may be detrimental to the fabric. There are over 25 million existing buildings, most of which will still be standing in the next 50 years. The majority of these buildings do not provide occupant thermal comfort; lead to high energy bills and use up vast amounts of (often imported) fossil fuels to keep people warm, leading to high associated carbon emissions and pollution. The government needs to get real and needs to urgently reward energy efficiency, i.e. the energy not used, just like it rewards clean energy produced (such as FITs and RHI). The best way to use energy, is after all, to not need it in the first place! 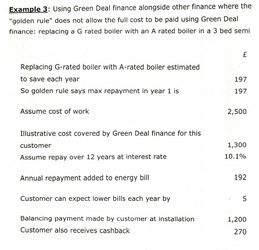 Courtesy of Linn Rafferty - here is a list of providers who offer Green Deal finance. Though it is unclear how many constraints there are to them considering finance. For example, you may need to live in a certain area, be eligible for ECO/benefit etc. British Gas for example told me that they do not work with individual householders at this stage. Any more stories out there? 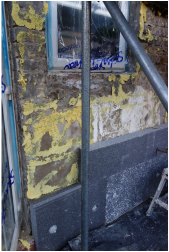 At the time of writing (Sept 1st) it has taken me almost 6 months from Green Deal assessment through to having obtained 2 Green deal quotes, setting out any ECO funding for external wall insulation (EWI). I contacted over 40 providers in March, many of whom did not respond; and those that did, said they were not yet ready to deliver the Green Deal Finance or did not deal with individual owner-occupiers. Thanks to DECC I had Instagroup, who have access to ECO-funding for individual householders on behalf of EON, get a Green Deal approved installer to get in touch with me. Let’s refer to them as Installer 1. 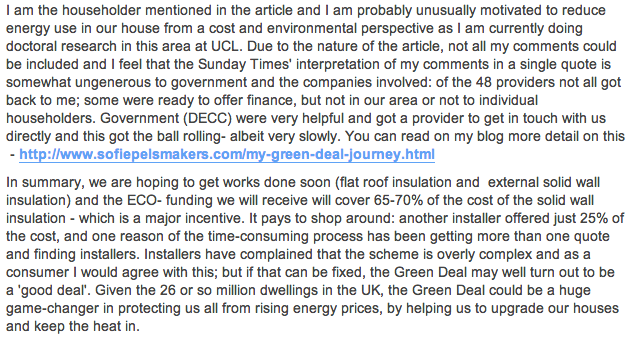 From a very helpful blog-reader I also received the contact details of another installer (let’s call them Installer 2) who have ECO funding access, though could not yet offer the Green deal Finance and worked with a Hanson system. 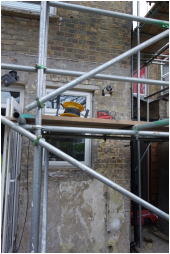 They charged £60 for a surveyor to come out, and I was ensured I would obtain a quote for the works within a few weeks from their visit. Installer 1 however failed to show the first time round; Instagroup were apologetic and gave me details of Installer 3 and 4. 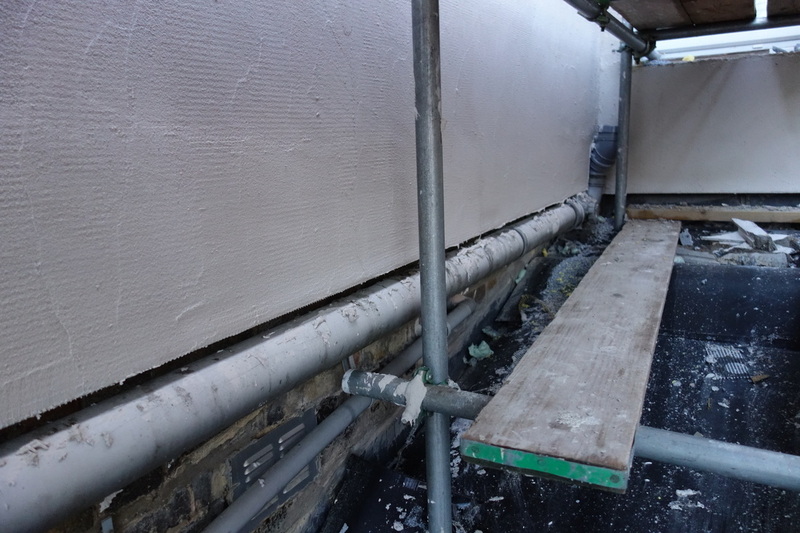 We also had Parity Projects visit us as part of their pilot in Haringey for their Green Deal Conduit scheme'. 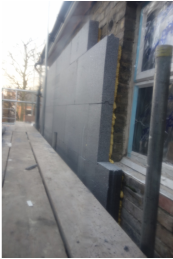 Installer 3, aside from refusing to insulate the roof (“we are an insulating firm, we insulate pitched roofs but do not do any waterproofing”), also plainly refused to consider any works to the front facade. 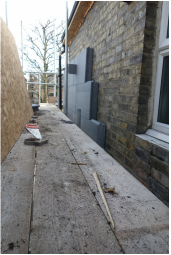 Their reasoning was that for EWI, it is “too complicated and requires planning” (no, it does not for our property, as far as I am aware). 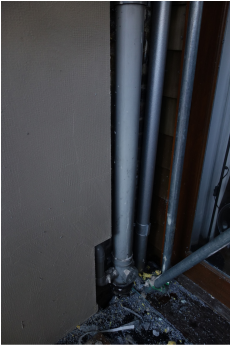 They also would not consider internal wall insulation. At all. (“Too much hassle”). 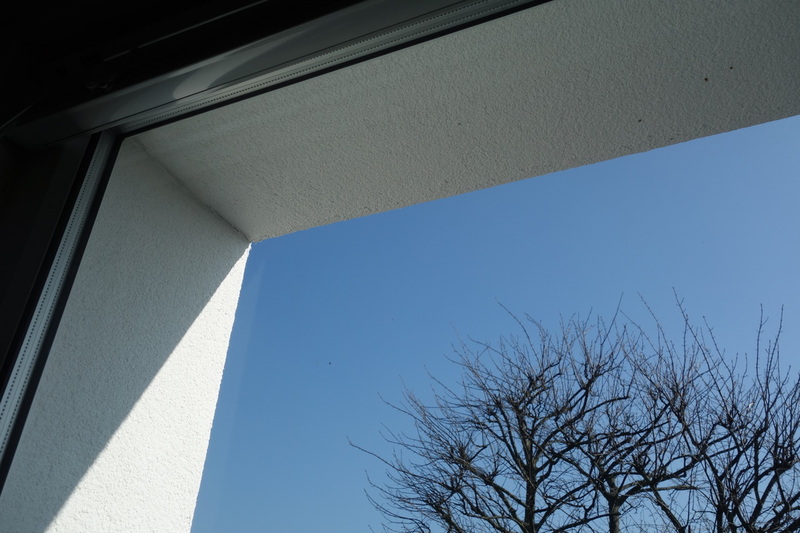 They also made the briefest of all visits, and did comment that they found that they had a lot of interested people but occupants were not going ahead due to costs still being too high, even with ECO. Installer 1 eventually made a total of 3 visits: one was from a GD assessor, whose software had immediate access to the ECO-funding provided by their provider. 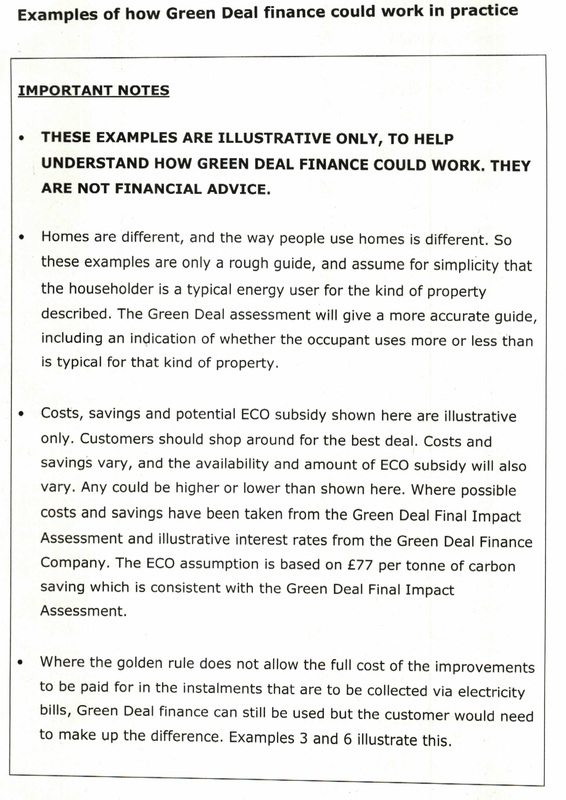 There was no need for an Occupancy Assessment, as we would not be seeking Green Deal finance (and he had our previous one in any case). 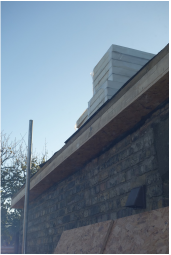 He also input the back ‘extension’ separately (although built at the same time as the rest of the house) as he was surprised that flat roof insulation was not originally listed as an approved measure in the first assessment. Interestingly, it did now come up as an approved measure. A third visit was with the roofing subcontractor to assess the flat roof and how to best insulate it. 1. 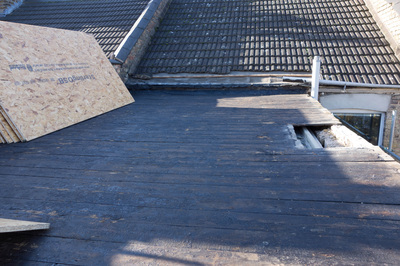 Competitive edge: The companies most flexible to meet the customer's requirements are likely to have a competitive edge: the fact that the roof can be done at the same time with least hassle to us, was definitely driving our decision who to work with, before we knew the ECO-funding available. 2. ECO-funding: The amount of ECO- funding was surprisingly different. This is obviously also a big driver. Please see below. 4. 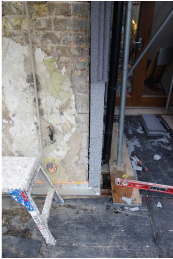 Quote from Installer 2: as they had promised, within 2 weeks we received a detailed description of the works with 2 quotes (each specification around 12 pages long): a quote for insulating both front + back and one quote to insulate just the back. The ECO ‘grant’ is deducted clearly on the ‘acceptance letter’ supplied. 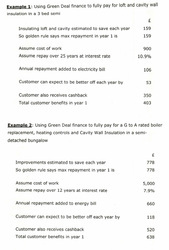 As explained in point 9 below, we will likely only get the back insulated under the Green Deal. 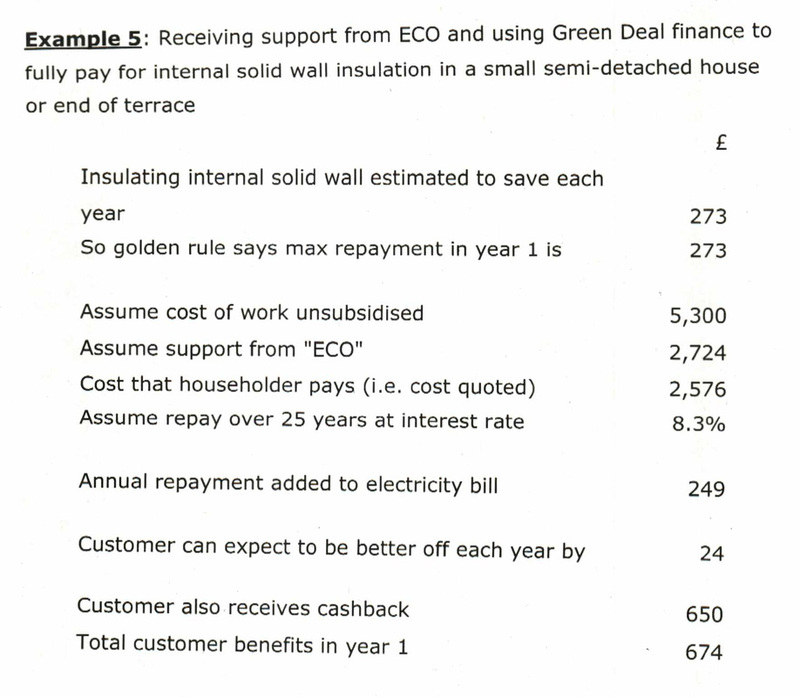 The quote for the back elevation, amounts to ~ 25% ECO- funding of the EWI cost. The quote is valid for 2 months and uses a Hanson system. 5. 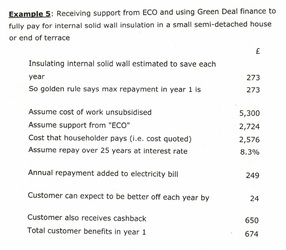 Speedier quotes if no access to Green Deal Finance required: Work by Installer 2 works out at a total of around £4700 including VAT (reduced with ECO-funding) for insulation to the back of our terraced house. It is at this point we realised we may be able to fund this work through other means, and we would probably not need access to Green Deal Finance. We informed Installer 1 and 3 that we were now just looking for access to ECO-funding and no longer GD finance, and quotes materialised in a matter of weeks. However, in either case this - frustratingly - excluded any detailed breakdown (just 1 x A4) and no ECO-funding. It is at this point of asking for more detail and exact ECO-funding, that Installer 3 informs me that they need the EPC.xml file. Within a week, the original assessor had supplied this to me, however I have yet to receive a quote several weeks later. 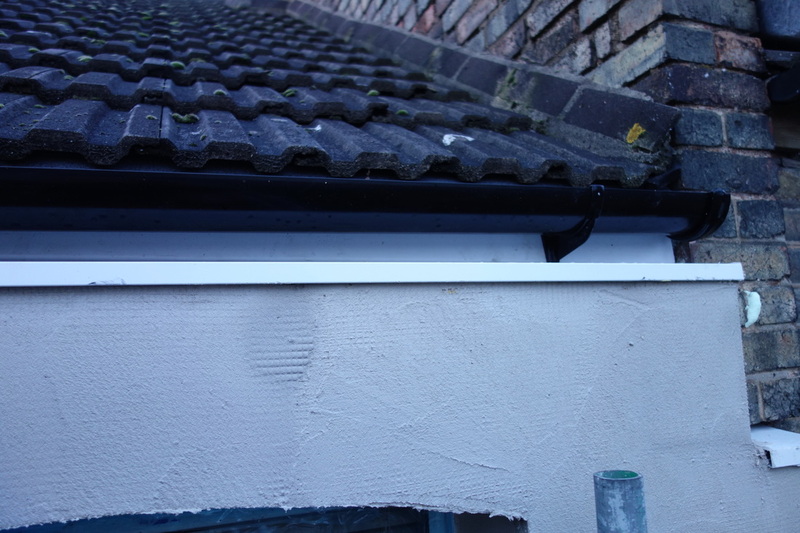 It also seems that Installer 3 is supplying a Saint-Gobain EWI system now. 6. 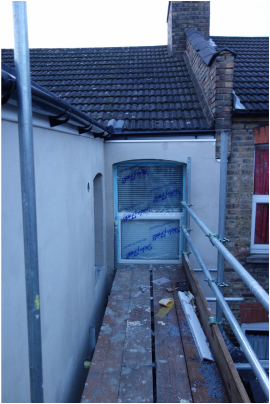 Installer 1 quote: Installer 1, at this stage our preferred installer, offered the cheapest cost for the EWI, perhaps because the job had become bigger for them with the roof in addition? 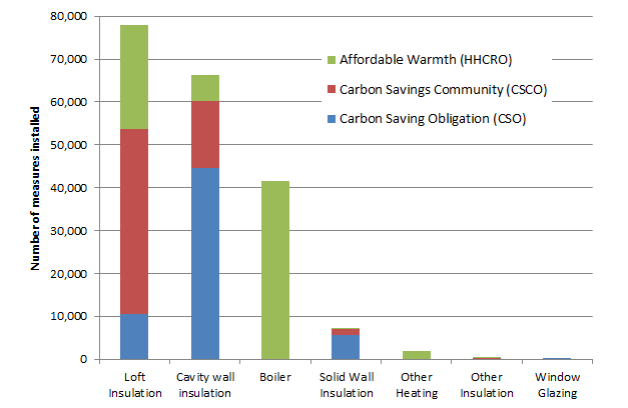 I addition, the ECO-funding they have access to, would cover around 65-70% of the cost of the EWI. 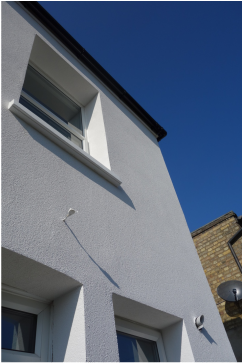 Basically, we can now afford to install EWI to the back plus roof insulation, without having to access Green Deal finance (though we probably still need to borrow part of it from somewhere else). The quote expires after 1 month. It is due to this reason, that unfortunately we will no longer be able to be part of Parity Projects' Green Deal pilot scheme. 7. 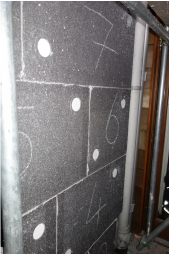 Green Deal Quality control: Installer 2 made mention that < 90mm systems are available for the front facade, utilising phenolic foam. 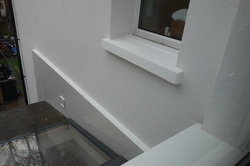 However due to potential movement joints leading to cracked render over time, caused by loss of density of the foam, this is not offered under the Green Deal as it is not approved/not warrantied for 25 years (you can get it under the Green Deal with brick slip finish however as the cracking does not occur). This is reassuring - though one important question: why offer it at all outside the Green Deal if these are the associated issues? 8. 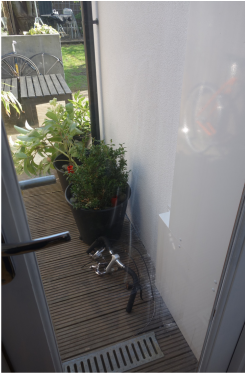 Confidence & trust: Installer 2 supplied a detailed breakdown of all the works and warranties, which instills confidence. I have yet to receive this from any others, including Installer 1, whom we have decided to work with. I did however email lots of detailed questions to understand what was/was not included before making a decision. However I prefer to obtain a detailed listed quote as we did from Installer 2, before going ahead. On the other hand, I also appreciate that this is time-consuming and ‘at risk’ for each installer to undertake for each potential customer. Ultimately, we do feel that a level of trust and understanding has built up with Installer 1 - hopefully this materialises as we proceed to the next stage. 9. 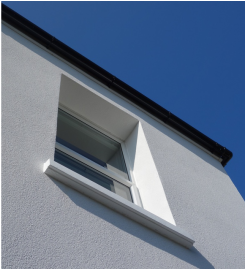 EWI system design & performance: It is a shame no system seems to include treatment to window reveals, or a satisfactory solution to the front facade. 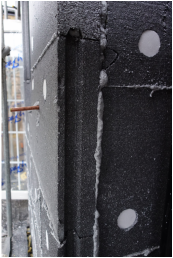 Not insulating the reveals increases surface condensation risk and will reduce the overall performance of the wall, below it’s intended 0.3W/m2K. With regards to the front facade: ECO-funding can only be obtained by upgrading to Part L (0.30 W/m2K). 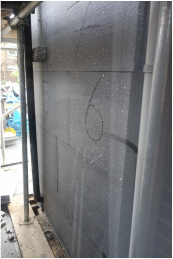 To the front, this means 90 mm of insulation: this will look very strange on a front facade in a set of terraced houses. 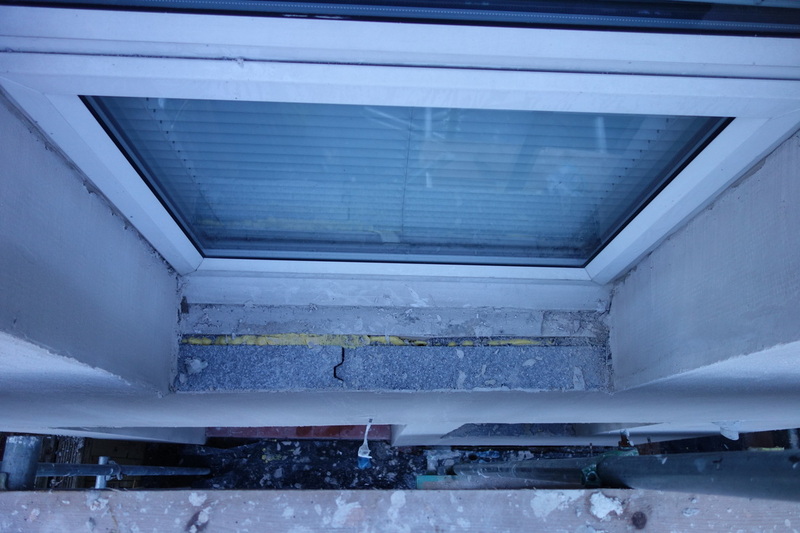 In addition, the bay window would not be touched, leaving stone work uninsulated and stone cill supports would protrude out of the 90 mm insulation - all of which would just make for bizarre detailing. Installer 1 conceded none of this is ideal. Anyone out there with any great ideas or suggestions/examples of how this can be done? Installer 1 will continue to look at this too. 10. 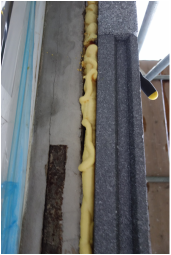 Time: Finally, the whole process of obtaining quotes, allowing time for visits and following the installers up on an almost weekly basis to keep pressure on them about ECO-funding has been much more time consuming than anticipated. However, it has been worthwhile getting more than 1 quote. The ECO-funding available will change from provider to provider and from install to install as well as over time. 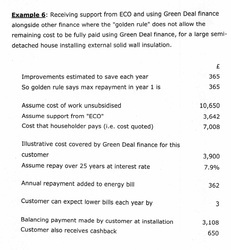 The difference of ECO-funding between Installer 1 and 3 may be explained perhaps by the fact that they are attached to different providers or that there was nearly 2 months between quotes? The fluctuating nature of the level of ECO-funding may also perhaps be illustrated by Installer 1 offering just a 30 day validity of its quote. It has taken almost 4 months from assessment to the first Green Deal quote with ECO-funding, and almost 6 months to have at least another quote. And this includes a lot of effort at my end, and initial intervention from DECC to get it kick-started. To be honest I had not envisaged this, and I thought we would have had the works done by now. No measures are installed yet and I am not sure when they will, so I am not surprised that ‘only’ 132 of some 58,000 assessments signed up. On the other hand, the Green Deal is a new scheme and everyone is still finding their feet, so let’s hope more of these assessments materialise in actual improvements n the following months. I will keep you posted on progress and process in the meantime! On another note: Several people have contacted me about access to ECO-funding for individual householders. 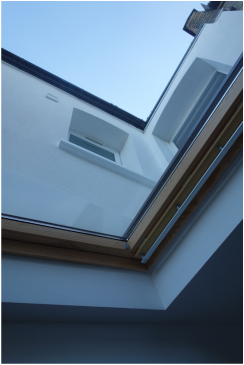 Contact Instagroup (0118 932 8811 or 0800 0517420) Say you'd like to speak about GD in your area - they should then put you through to a local area manager who then has details of local installers to come around and asses the property + let you know what ECO funding is available. The other company able to access Green Deal ECo funding is Hanson. 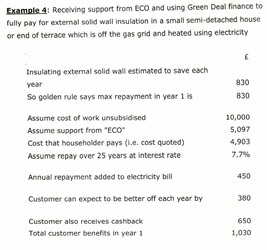 Next - Green Deal Cashback: I am not sure if we qualify for a cash back or how to apply for it. My colleague Jenny Love has blogged about rental properties and how this may work. 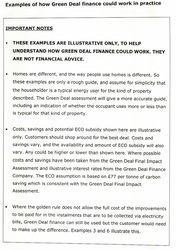 And CIBSE has all been blogging about Commercial Green Deal (i.e. for non-domestic occupants).